Thermofoil kitchen cabinet doors are a low maintenance and affordable type of cabinetry that provides the look of painted cabinets without the inconvenience of having to continually paint them. 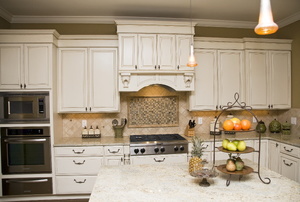 To Replace, Reface, or Refinish Your Kitchen Cabinets? 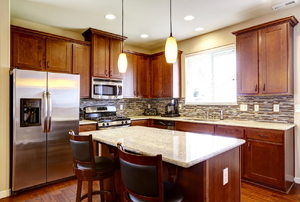 Read this before replacing your cabinets. 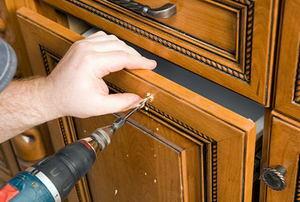 You may be able to save money by refacing or refinishing them instead. Are Ready-To-Assemble Kitchen Cabinets Sturdy? What Are The Best Kitchen Cabinets For Me? Adding cup hooks to your kitchen cabinets will save you storage space and keep your kitchen organized.